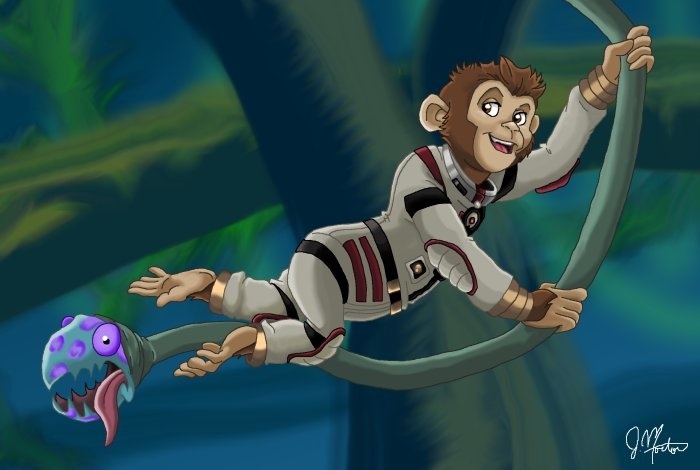 OMG is that "Space Chimps" fan art?!!! Did hell actually freeze over?!!! yeah yeah, okay it was on TV the other night and there was nothing else on.... I have to be honest, I enjoyed it. And no! after all my ranting about 3d movies, I'm not a hypocrite! In fact if anything, I think I may be warming up to the 3D fad.... though I still think there should be some balance between that and traditional animation... but, I digress! This is my very first attempt at drawing a 2D version of a 3D character. After watching the movie, I automatically fell in love with Ham! .... He's just so fuzzy and I have a weakness for fuzzy!